Here at Denby Dale Coffee, you will find a comprehensive range of over 100 commercial coffee machines to choose from. 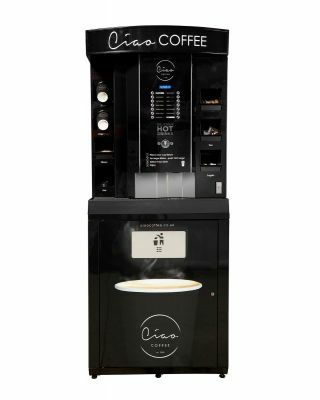 Whether you are looking for a bean to cup machine, traditional espresso equipment with separate coffee grinder, a table-top vending machine or premium coffee filter machines, we can offer you independent expert advice to ensure you choose the right coffee machine for your business. Our popular brands include Jura bean to cup machines, or commercial espresso traditional machines by Quality Espresso, which come with five years on-site parts and labour warranty. What's the difference? 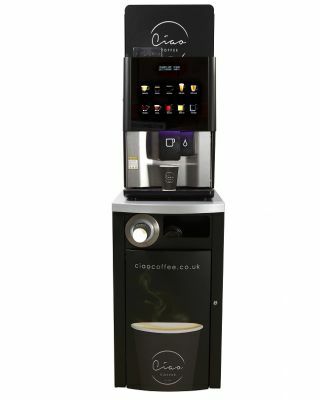 Bean to cup coffee equipment, such as our Jura coffee machines, are fully-automatic, one-touch machines using fresh coffee beans and milk, supplied with a milk fridge. They are pre-set to the individual drink types of your choice and offer up to 40 drink options from espresso and coffee, to speciality beverages such as lattes and cappuccinos. Great for offices and any other workplace with a high staff count. Our Jura bean to cup machines have been designed around a daily usage requirement and range from 30 cups to 200 cups per day. If your demand exceeds this, then you may wish to consider a super-automatic machines, which are capable of up to 125 drinks per hour. Popular models include Jura JX8, and the Jura Giga range. 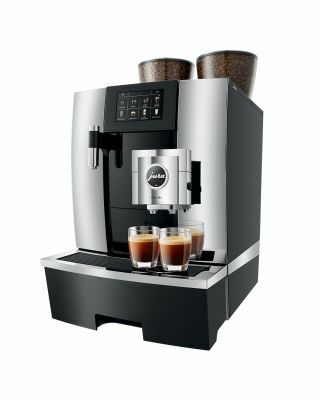 Check out the brand new Jura Giga X3 bean to cup which comes with 3 years warranty. 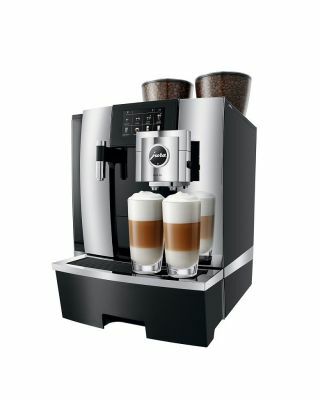 Espresso machines, also referred to as traditional equipment like those seen in Costa and Starbucks, are supplied with a separate coffee grinder, have one to three group heads. The milk is foamed using a steam arm. They are a popular choice in coffee shops, restaurants, cafes and anywhere where a quality coffee beverage is desired. These machines are a little more hands-on verses bean to cup machines, with a result of a better beverage being prepared. We offer full on-site training and a longer warranty on some of our traditional equipment. Less cleaning and maintenance is also required. Our range includes leading brands from around the world, including Quality-Espresso and Visacrem. 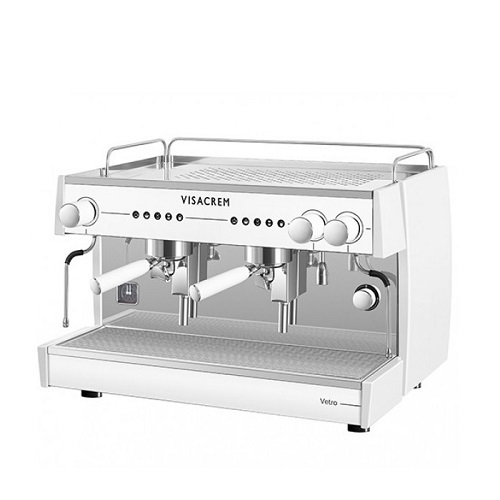 Check out our Visacrem Ottima range, where we offer on-site barista training and parts and labour warranty extended to five years. Filter machines prepare quality filter coffee in a variety of quantities from three pint pour over to large bulk brew systems of up to 80Ltrs. Simply add a pouch of filter coffee to the filter basket and the water drips through to the holding containers, whether that be a glass jug, thermo or round filtering dispenser. Popular in cafes and the workplace, conferencing and canteens, we offer a wide range of filter equipment from Bravilor Bonamat such as the Novo, Mondo and Round Filtering systems. Browse our complete range of premium commercial coffee machines today, and receive FREE next day delivery to the vast majority of the UK when you spend over £75.